The Atlantic Canada Health Care Coalition Society is a voluntary association comprised of Benefit Plans, Pension Plans, Unions & Associations located throughout Atlantic Canada. The ACHCCS was primarily founded (back in 2008) to ensure quality service health care, and to control and reduce health care costs through deep discount mass purchasing, while allowing each Benefit Plan, Pension Fund, Union & Association to stay autonomous, and to ensure the availability of innovative, quality health care, insurance, financial and affinity delivery systems for participants of the Plans' and their beneficiaries. The Coalation currenty has more than 67 Member Groups comprised of over 800 Union Locals, is the first Coalition of its kind in Canada and is also a member of the National Labor Alliance of Health Care Coaltions. The Coalition membership now totals a little over 250,000 Union members, and together with their spouses and dependents, totals well over 500,000 people who are entitled to participate in the various Coalition Programs negotiated with Benefit Providers. Current Benefit Providers include: Managed Health Care Services Inc (Drug Coverage Discount Programs), The Co-Operators (Group Auto and Home Insurance), Optum Rx (Prescription Discount Card for members and retirees to use when travelling to the US), Connect Hearing (Hearing Care Professionals Network), and Canada Fleet Operations (Fleet Discount Pricing with Chrystler Canada). 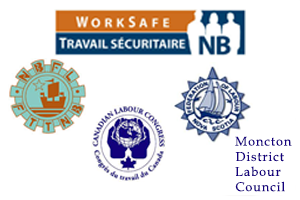 BCTGM Local 406, along with all workers in New Brunswick, would like to congratulate the New Brunswick Coalition for Pay Equity for their continued hard work in bringing justice to the workplace. Moncton ‒ The New Brunswick Coalition for Pay Equity congratulates the New Brunswick Union and the provincial Government for their announcement today of $8.4 million over 10 years for pay equity adjustments. This marks an important step toward the implementation of the Pay Equity Act, 2009. “Today’s announcement is a victory for those working as professional support workers in schools, specialized health care professionals and medical science professionals. Pay equity ‒ equal pay for work of equal value ‒ is a human right, and without the Act, the wage discrimination which oppressed female workers would not have been reparable. It is therefore essential that the Gallant government keeps its promise made during the last election, to fully implement the Act in all of the government sectors including Crown Corporations.” states Frances LeBlanc, Chair of the Coalition. The Coalition wants to remind us that the pay equity negotiation process has not yet begun for bargaining units representing teachers and institutional services and, nor for non-unionized workers. This is also the case for Crown Corporations subject to the law, namely NB Power, WorkSafe NB, NB Legal Aid Services Commission, New Brunswick Community College, Collège Communautaire du Nouveau-Brunswick, NB Liquor, and the Financial and Consumer Services Commission. There is still a lot of work to do before the government’s promise is fulfilled. “In order to demonstrate to the population that the government took the necessary measures to respect the Pay Equity Act, 2009, there needs to be a detailed report of the implementation of pay equity since it initially came into force on the first of April, 2010. It’s a question of accountability.” – confirms Johanne Perron, executive director of the Coalition. Answer the following 9 questions to see if a union would be right for you. Interesed in joining? Click "More" to get started. Copyright © 2017 BCTGM Local 406, All Rights Reserved.